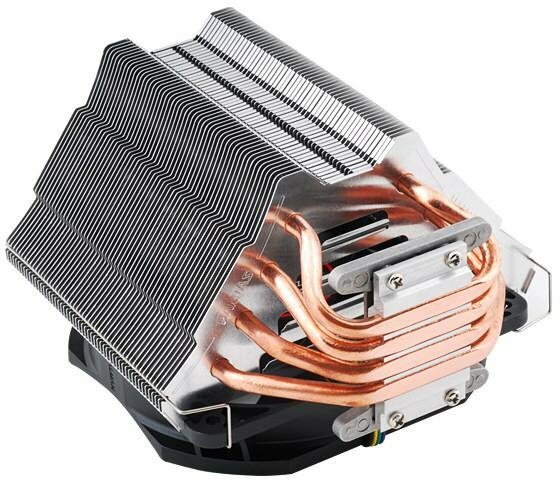 TC Mag noticed Zalman is getting ready to ship the CNPS11X Performa, a new processor cooler with a V-shaped dual heatsink design. 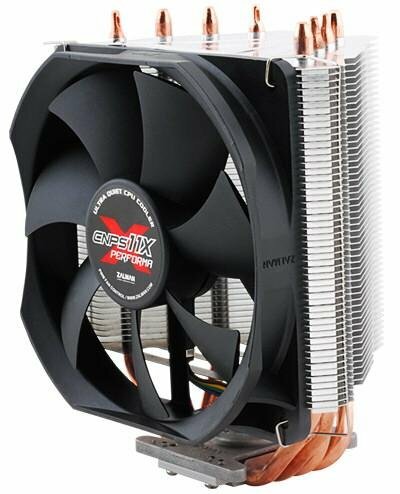 The cooler has four direct-touch heatpipes and a 120mm PWM fan with a noise level of 17dBA to 26dBA. It weighs 450g and measures 135mm x 80mm x 154mm (L x W x H). All current processor platforms are supported, including the Intel LGA 775/1155/1156/1366/2011 and AMD Socket AM2/AM2+/AM3/FM1. The Zalman CNPS11X Performa should ship later this month, it's currently available for pre-order in Europe for around 29EUR.